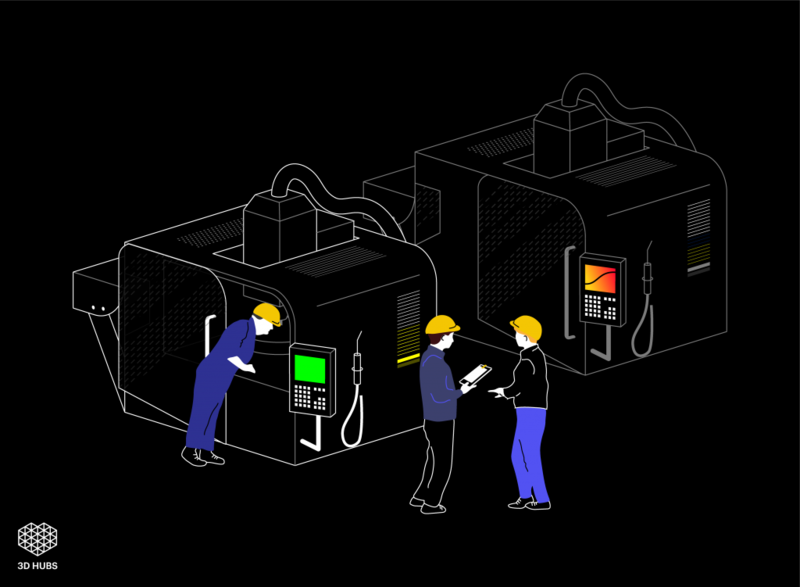 Automated manufacturing platform and former 3D printing marketplace 3D Hubs has today announced the successful closing of $18 million in funding. A Seres C investment, the round was led by Dutch growth capital investment firm Endeit Capital. It features the contribution of five other parties including, most notably for 3D Printing Industry readers, Erik de Bruijn, Co-founder of award winning desktop 3D printer OEM Ultimaker. Founded in 2013, 3D Hubs started life an online community and marketplace for peer to peer 3D printing services. Following rumors that started circulating late 2017, the company has since restructured as a B2B manufacturing platform, fueled by industry demand. In addition to industrial 3D printing capabilities, the site now offers access to CNC machining and injection molding services, all fulfilled by the company’s Manufacturing Partners.